From large and small businesses to freelancers and individuals, we provide full-service tax and accounting services. Are you confident you know what’s really going on in your business? It’s difficult to manage your business well if you’re not measuring the financial aspects of it. When you don’t make time to track and analyze your financial data, you may be missing growth opportunities or wasting money on needless expenses. 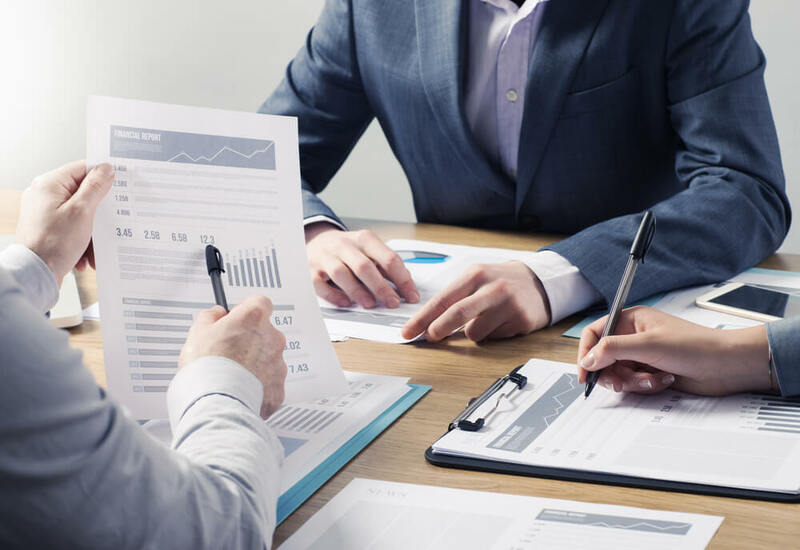 Financial Statements, Cash Flow Management Reports, and custom financial reports for internal analysis are a few of the services we provide at Jacob George CPA, PC. Make time to track and analyze your financial data. Are you depreciating all the right assets in the most efficient way? Is your business structure good for you now and in the future? Do the most recent tax law changes affect you, or offer any opportunities for your business? Do you know which vehicles offer the best tax shelter for your business assets? You may not know which questions are most critical to your business success but our expertise allows us to identify the specific opportunities and strategies to help you move your business ahead. We understand what kind of business services, reporting, and analysis it takes to help you make the best business decisions. People operate their businesses differently so instead of trying to train clients to conform to a single set of rules, we believe in creating custom solutions based on your needs. We offer business accounting and professional bookkeeping services to relieve businesses of tasks considered uniform, invariable, and time-consuming. We take the burden off your business with our custom payroll services. We provide quarterly and annual payroll reporting, including electronic filing and confirmation of all reports with the Social Security Administration (Forms W-3, W-2s), Internal Revenue Service (Forms 944, 941, 940, 1096, 1099s), and Texas Workforce Commission (Form C-3). Also, once registered, any related payroll penalties can be reviewed by Jacob George CPA, PC and addressed to minimize penalties. Small, indistinct adjustments within business practices, such as requiring employees to create individual log-in credentials, can increase your security tremendously. Internal controls are usually the most sensitive and vulnerable areas in any business and should be intentionally addressed. Maintaining your business requires a certain amount of planning. Growing your business requires even more planning and growing your business effectively and efficiently demands focus and highly defined planning. The insight of an experienced CPA firm like Jacob George, CPA, PC is essential to planning for long-term business success.